Join Peter McAuslan and Ellen Bounsall, our Guests of Honour, for an evening of dining, dancing and pageantry celebrating one hundred and eighty-four years of Scottish heritage in Montreal. Born in 1955, Ronald Munro Ferguson was brought up at Novar, in Ross-shire the family home of the Munro’s of Novar since 1589. He was educated at Stowe and the University of Texas at Austin where he graduated with a degree in Business Administration. He obtained a pilot’s licence while at university and flew across America. He worked for a Saudi Arabian Bank in London before returning home in 1985 to focus on enterprises at Novar. Ronald is the 15thhereditary laird of Novar and has maintained the traditions of the estate while creating a vibrant, modern business with interests in renewable energy, forestry, sawmilling, property development, farming, tourism and most recently the creation of a single estate cider alongside his son, William. The 8th Laird, Sir Hector Munro was colonel of the 42ndHighland Regiment of Foot (The Black Watch) from 1787 – 1805 and was presented with the Regimental Colours in 1803. He laid them up in the gallery of Novar, ‘never to be removed from it so long as one stone of the house remains above another’.They are the oldest surviving colours of the Regiment. Ronald is a member of the Northern Meeting, a Highland society founded in 1788. He was Convener from 2012 – 2015. During his convenership and together with the secretary Nigel Campbell, they instigated the creation of The Northern Meeting Charity with objectives to help support social interaction through music, dance, sport and outdoor activities in the seven Northern Counties of Scotland. Ronald is a keen collector and is a Liveryman of the Worshipful Company of Arts Scholars in the City of London. Ronald enjoys travel. He is a skier, mountain-biker, gardener, outdoorsman and skied the last degree to the South Pole in December 2016. Ronald has three children with his first wife. He married Erica, a veterinary surgeon in 2002. Ronald and Erica have been responsible jointly for many of the recent improvements at Novar including the creation of Ardtalla, a luxury lodge, converted from the 18th century stable square. Sir Malcolm MacGregor of MacGregor Bt. Sir Malcolm MacGregor of MacGregor is the 24th chief of Clan Gregor and Chieftain of the Children of the Mist, the most romantic title in Scotland. Born in 1959, he spent his early life travelling the world with his parents as his father was a serving officer in the Scots Guards. He grew up in Malaysia, Greece and the USA. From the USA the family returned to Perthshire in Scotland and lived at the family home in the heart of MacGregor country, near Balquhidder. Having been educated at Eton College, he worked and travelled in the United States for a year. On return, he joined Scotland’s Regiment of Foot Guards, the Scots Guards. He served in the Middle East, SE Asia and Europe, interspersed with operations in Northern Ireland. He was assigned for two years to 6th Gurkha Rifles in Hong Kong and Nepal. His final appointment was Chief of Staff of 51 Highland Brigade, descendants of the famous 51st Highland Division, based in Perth. From there he went to Cranfield University attaining an MBA. He then spent many months in Oman photographing for his book ‘Wilderness Oman’ and completed additional photographic projects in the country. Other work has taken him to Iceland and France. Photography in Scotland has been marked by two books: ‘The Outer Hebrides’ and ‘Mull, Iona and Staffa’. In 2008 he was assigned to the HALO Trust, a humanitarian mineclearance charity, photographing their dangerous work in countries such as Afghanistan, Angola, Somaliland, Cambodia, Georgia and Kosovo. He returned to Helmand province in Afghanistan to photograph the Scots Guards on operations. Currently, he is a features photographer and writer for Scots Heritage, an online magazine. Sir Malcolm is a member of the Queen’s Bodyguard for Scotland, the Royal Company of Archers. He is a fellow of both the Royal Geographical Society and the Royal Photographic Society. 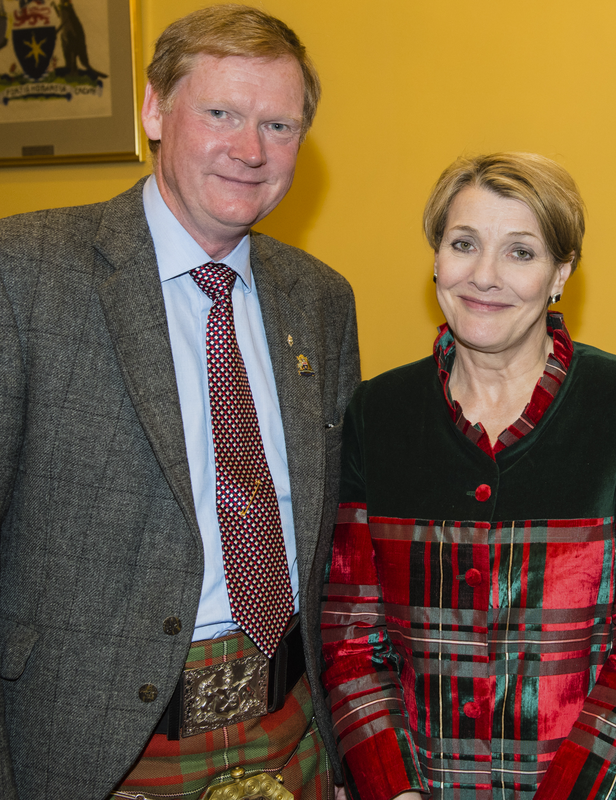 He is Convenor of the Standing Council of Scottish Chiefs, representing the worldwide clan network on various bodies in Government and tourism. He is married to Lady MacGregor whose professional name is Fiona Armstrong. She is a well-known broadcaster with Border/Tyne-Tees TV, ITN and the BBC. Additionally, she writes about Scottish history and current affairs in Scotland for various publications in the UK and the USA. She has recently received a PHD from Strathclyde University on the subject of Highlandism in the Victorian era. She was appointed Lord-Lieutenant of Dumfries, by Her Majesty the Queen in 2016. They live in Dumfriesshire. Ian was born in Swansea S. Wales. His maternal grandfather was a Scot (MacColl) and his paternal grandmother (Currie), which clan he represents as Commissioner for the Pacific Region of the United States. ​Los Angeles, where Eileen’s parents lived, for two years while Ian attended university. Now 41 years later, and two children they are still in LA. During this time Ian worked in the aerospace industry as director of marketing for a components manufacturer; this required frequent travel to the UK, France and Germany. Following one of the cyclical aerospace downturns Ian established his own marketing communications company, initially providing services to the aerospace industry and then concentrating on public education promoting the successful strategies of school districts throughout southern California. Following retirement Ian further immersed himself in the British community, serving as Vice President in various capacities for the British-American Chamber of Commerce. In 2005 Ian joined the St. Andrew’s Society of Los Angeles and in 2014 after serving as Director of Communications was elected President. Ian has also served on the Executive Committee of the British United Services Club (BUSC). Ian’s father served in WWII in RAF bomber command and in 1943 was transferred to RCAF 428 Ghost Squadron flying Avro Lancasters. In honour of his father’s service Ian is currently in the process of establishing a branch of the Royal British Legion in Los Angeles. 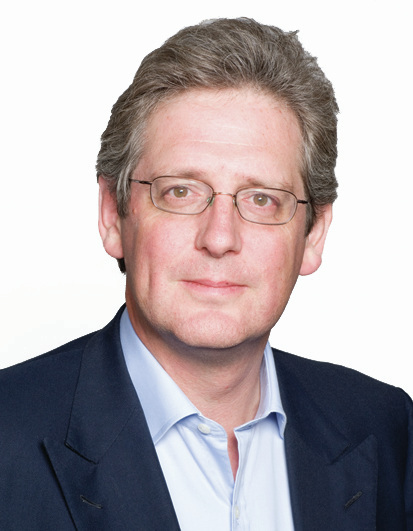 Charles Kinnoull is a Crossbench (independent) member of the House of Lords. He was educated at Eton College and at Oxford University where he was an open scholar and read Chemistry. He went on to read law at the City University in London and was called to the Bar in 1990. From 1990 to date he has worked at Hiscox, a specialist insurance group with offices in 12 countries. For 10 years until 2014 he was a member of the Executive Committee that ran the group and is now in a non-executive role. Charles and his wife Clare live in Perthshire with their 4 children where they farm organically, producing vegetables, beef and lamb for the major UK supermarkets. Clare, who before marriage was the marketing Director of Mont Blanc UK, has on more than one occasion bought their own carrots at a supermarket in London. Charles is a Captain in the Atholl Highlanders, the Duke of Atholl’s private army, and is a member of The Queen’s Bodyguard for Scotland (the Royal Company of Archers). He was with the Atholl Highlanders when they visited Montreal in 2000. In a very happy co-incidence Clare’s Grandfather, Mervyn Crawford DSO, commanded the battalion designated the Atholl Highlanders from D-day until the end of the Second World War. Charles is also President of The Royal Caledonian Charities Trust and Chairman of the Red Squirrel Survival Trust among various voluntary sector roles. He was elected to the House of Lords in February 2015 and sits on the Select Committee on Social Mobility among other activities. He is a passionate unionist.